Collaborative Innovation Networks, or COINS, are groups of people which operate in three cool ways: by giving power away, by sharing knowledge and by self organizing. Such networks have the ability to tap into a collective knowledge which far exceeds that of its cleverest individual. All involved contribute their time, energy and knowledge out of a shared passion for a shared vision. It is not about power, money, or winning—it is about working together to make things better. For a more detailed discussion about COINS see my November 3, 2007 interview with Peter Gloor titled “The Most Productive Engines of Creativity”. Coolhunting means searching for COIN activity, new ideas, intrinsically motivated people and trendsetters. It is the search for cutting edge trends. And many of the best ideas come not from individual trend setters or inventors; they come from the collective efforts of groups of people working with ideas. Once an idea is found coolfarming can take over. Coolfarming means giving your idea and power to a group of intrinsically motivated people and providing them with a fertile and nurturing environment in which to work—or to have fun! Google coolhunts internally by giving its staff one day off per week to come up with new ideas—it’s called “20 percent time”. The CEO of Continental Airlines made positive changes in some services “after participating in an online forum of frequent flyers”. Worlddidac coolhunts new and innovative educational products by hosting a juried competition for new educational materials every other year. A particularly fertile area for coolhunting is the Internet. Wikis, podcasts and blogs allow users to post information and communicate about all areas of interest. Cruising these sites can alert coolhunters to emerging patterns and trends—to what is cool. Peter Gloor kindly agreed to answer some of my questions after I had read Coolhunting. Vern Burkhardt (VB): You stress in your book the importance of giving power away to the “swarm” or COIN, and that successful coolhunting and coolfarming require that entrepreneurs be galaxies, not stars. The concept of giving power away is a very disruptive one. Our world seems addicted to power. Do you think people today are more willing to park their egos at the door and give power to a COIN or swarm, or has it just become more necessary? Yes, I do indeed meet more and more companies willing to delegate power “to the edge”, and empower employees and customers to make far-reaching decisions. For example, Procter and Gamble’s technology entrepreneurs do the coolhunting. They are rank and file P&G employees who—“in their spare time"—spot cool new products and trends for their employer, anywhere, on supermarket shelves in Japan, in small bakeries in Italy, and so on. VB: Do you have any advice, practical or otherwise, for those who find themselves resisting this trend? Obviously, in the short term, managers can survive very well by keeping everything under control. As soon as the next crisis strikes, however, hierarchically managed organizations have a much harder time coping with changes than self-organizing organizations. My advice therefore would be get used to it and practice it while you still have time! VB: Do you think that the types of solutions and inventions COINs come up with are different in nature from those developed by traditional hierarchical companies? That the “way” has a profound effect on the “what”? As traditional companies don’t like disruptive change, their innovations will be transformative—refining and improving on the “old” ways of how things have always been done. Innovations from COINs, on the other hand, question conventional wisdom, and might even cannibalize existing product lines of the company. If a group, the COIN, works together really well, its output will also usually be of superior quality. VB: If this trend towards altruistic collaboration takes hold as the norm, what do you think our world will then look like? There are great role models today, who already practice this sort of “altruistic” business. Oprah’s book club works extremely well because she does not take any money for her recommendations. The Apple stores defy conventional retail wisdom by paying their staff a fixed salary, with stellar results. Applying these business models improves the world for all stakeholders, from owner to employees to the customer. By the way, I am not sure if the term “altruistic” is the best to describe this sort of business model. I just have not yet found a better term so far. It includes “customer centric”, but certainly is much more than that. VB: You give examples, such as Benjamin Franklin, from the history of people using COIN-like methods to develop things. It appears that today there is a more fertile environment and/or a greater need for collaboration. Do you agree, and can you comment on any reasons, besides the obvious one of computer technology, why this would be so? I think the main reason why this self-organizing way of developing new things works so well can be described in one word: “transparency”. And of course, computers, the Internet, Blogs, Wikis, social networking sites are great enablers of transparency. In today’s media-dominated world, people gaming the system get exposed much faster, leading to a new ethic understanding. Fifty years ago, Ken Lay from Enron might have gone into history books not as a corporate villain, but as a great hero. VB: Can your coolhunting and coolfarming methods be beneficially employed in the pursuit of any business of any size? Would the methods have to be customized in any way? I am indeed frequently asked if these methods are only good for organizations of larger size, let’s say more than twenty to fifty members or so. The answer is that it works for organizations of any size. If the team is smaller than let’s say five to eight people, they need to search and coolhunt•as larger organizations also should•outside their team boundaries for further trends. And they also can try to recruit further team members and develop their product, coolfarming it, outside of their small core team. VB: One of the coolhunting tools you describe is TeCFlow, a software program that maps the communication patterns of networks. It was created by you and one of your students. Which came first, your understanding of coolhunting or the software? And did you have a clear vision of everything the software would do, or did it develop as it went along? Was TeCFlow coolfarmed? Very much so, most of the really cool ideas came and come from the users who form a great coolfarming community. I had this vision of trying to create maps of ideas and information before the Web even started, in 1990, creating a software tool I called cybermap. When the Web came along, it was obvious to apply cybermap to it. And about six years ago, it struck me that mining e-mail archives would be a great way to integrate social relationships with discussion about topics. This knowledge of who spoke about what with whom would be an excellent way to track new ideas. It is the users of Condor, as the most recent version of TeCFlow is called, who form a COIN and help us to further develop and coolfarm it. VB: What are the basic elements of Condor that are different than TeCFlow? The main additions of Condor are sophisticated functions to do social networking based coolhunting on the web, blogs, and other RSS feeds to build relationships between people and organizations, calculating their changes in “betweenness” over time to discover the trends. For the social badges, we have also added functionality in Condor to measure changes in attributes of people, such as physical proximity to each other and other objects, and not just their social network position. VB: I understand that using the Condor Web tool, you have been able to predict some of the primary election contests in the USA, election for the secretary of Italy’s Democratic Party, some stock price trends, and also Oscar Award nominations. Do you think it will be able to predict the USA Presidential election once that campaign gets into full swing after the Democratic primaries? And do you think that this coolhunting ability will become increasingly sophisticated to the point of being highly reliable to detect emerging trends in business and global politics? As Nassim Taleeb says in his bestseller The Black Swan, we will never be able to predict the highly improbable events such as an emotional outbreak of Hillary Clinton in the New Hampshire Democratic primaries. On the other hand, we have found for the last six to nine months that on most days Barack Obama beat Hillary Clinton in Web and Blog betweenness•so we can indeed make predictions on the outcome of tomorrow based on what people think today. VB: Have you used Condor to check whether COINS are increasingly emerging around the issue of climate change? We are starting a project on analyzing climate change, and trying to coolfarm communities around it. We are using Condor to discover those communities. VB: I am interested that one of your methods of coolhunting is mining people’s e-mails, which can sound a bit “1984”-ish. Are there any ethics or requirements for disclosure that have developed around this kind of activity? Or is it only possible with material in the public domain, like the Enron files? Over the last 6 years we have analyzed many organizational e-mail archives. There is indeed initial reluctance of people to expose contents of their mailbox, which we have to overcome. In research projects, we only give back individual insights to each concerned individual, but not to his/her boss. In corporate projects, protection of privacy is up to the organization and the local laws, which differ, for example, between Europe and the USA. In the USA, people can opt out. In Europe, they have to opt in for such projects. We do our best to openly inform project participants, before we start a project, about the goals, policies and procedure applied, and most importantly, what will be in it for the participants. VB: Are you aware of any tools other than Condor that have been specifically designed for hunting new ideas? If so, do you have any experience of them or opinions about them? Yes, there are idea discovery tools, such as brightidea.com; social networking tools, such as Visible Path; and e-mail mining and expert discovery tools. However I am not aware of any other tool that puts together all the pieces like ours. VB: It seems that original coolfarmers, like Benjamin Franklin and, more recently, Tim Berners-Lee had no desire to benefit personally when they freely exposed their ideas to the world. Your book describes ways people can deliberately coolhunt and coolfarm in order to successfully chase “down the next big thing”. Do you have any concern about people tarnishing your ideas with their greed? If people are greedy, it will not work. Enron sets a great negative example. Enron was quite creative in inventing energy trading, but it was all driven by greed. These innovations are not sustainable. Coolfarmers care about the idea first. If they do it right, financial and other success will come later on. VB: You describe different clever devices that allow conference attendees and students to provide immediate feedback to the conference organizers and to teachers, thus allowing the “swarm” to influence how the conference or class proceeds and flows. In what other areas or disciplines do you think this type of technology would be especially useful, and why? We are working closely with the MIT Media lab, which has developed “social badges” recording interpersonal interaction on a close interpersonal level, measuring interaction distance, directionality, movement of the wearer, and pitch level. We have already used this to measure personality characteristics such as extroversion, neuroticism, openness, and agreeability. We were able to make teams at a bank more creative. Currently we are applying the same technology to try to lower stress among nurses at a hospital in Boston. VB: You give Costa Rica and Switzerland as examples of countries that have achieved peace and economic wealth and stability, by giving power to the people or “swarm”, in ways far beyond most democracies. Can you talk about how this model might, or might not work, for other specific countries? I think this model works for any democratic country. The more power is delegated to the individual citizen, the more efficiently•in the long term•people will govern themselves. This is particularly true for the USA, with an excellent constitution, but too much executive power for one single individual, the President. While there are checks and balances, in my view in the USA there is far too much reliance on the executive powers of the commander-in-chief. VB: Can this model also work in non-democratic countries? It works if people get the opportunity to self-organize. I found examples of coolfarming in the developing world•in not so democratic countries•on the level of villages and micro-enterprises. VB: Are our villages, towns and cities natural human swarms? What do you make of our tendency to congregate in huge traffic-congested cities? If you look at development over the last twenty to fifty years, a rapidly growing fraction of the population, already a majority by some accounts, is living in urban areas. So we have no choice but to make those spaces more livable, by recreating local neighborhoods in big cities, and supporting Internet-based social networking tools, that help us to find “people like us” even in the midst of millions. In Manhattan, for example. VB: You talk about the ability of swarm creativity and self-organization to help make the world a better place. How deep and far-reaching do you see this possibility, given the nature of some of the challenges facing us, like huge, hungry populations; religious intolerance; climate change; and political, ideological or cultural clashes? I am an incurable optimist, so I hope that if not today, then at least a few generations from now, everybody will be master of their own destiny and happiness. Happiness comes from self-determination and the feeling of being in control of one’s own future. And what better than individuals deciding for themselves which swarm to join, and helping to redefine and shape the goals of this swarm. VB: IdeaConnection.com enables a global community of experts to solve problems, think creatively, and conduct R &D for businesses. Do you have any advice or comments for these experts as they collaborate to deal with specific problems or challenges using the online tools in ThinkSpace? My main advice is: Connect! Connect inside IdeaConnection, and with other idea market places. The success and usefulness of networks is a direct function of their size. The big challenge for me for networks like IdeaConnection is to create an environment of trust, where I know that others will not take advantage of me and my ideas. VB: Are there any other aspects of Coolhunting that we have not covered in this interview that you would like to comment about? Coolhunting and Coolfarming are very closely related, great coolhunters are great coolfarmers too. Famous venture capitalists, like John Doerr, who are great at spotting the next big thing, and highly successfully at helping it to grow, are a prime example. Connected, open and interactive companies and teams are more successful. The more creative and open the team, the greater will be its communication and success. Hence the benefits of Web 2.0 which promotes openness, transparency, discussion, dialogue, and interaction. For something to be truly cool, how it got to be cool also has to be cool. 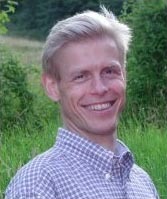 Peter Gloor has worked as an executive for UBS (established in 1998 with the merger of the Union Bank of Switzerland and Swiss Bank Corporation), PricewaterhouseCoopers, and Deloitte; and he presently teaches, leads research, and writes at Massachusetts Institute of Technology Sloan School of Management, Helsinki University of Technology, and the University of Cologne.